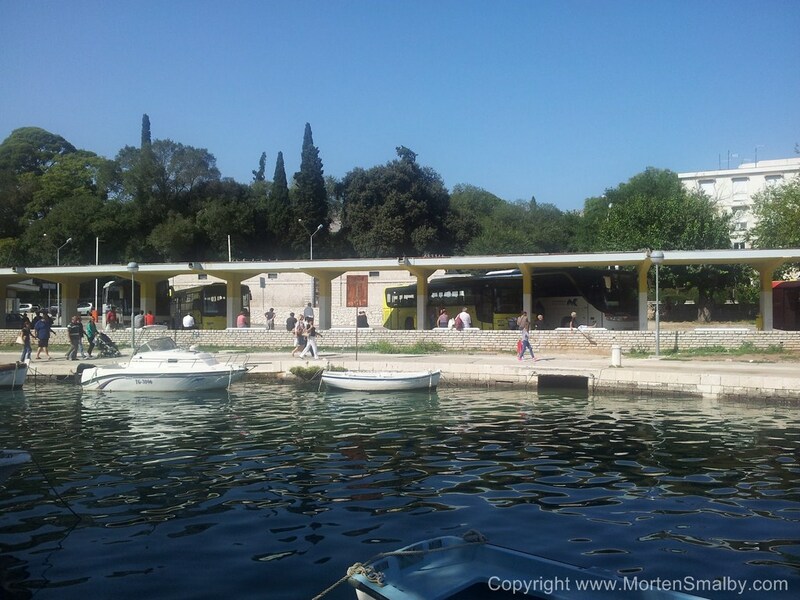 The bus station in Trogir is situated at the entrance to the city, by a stone bridge, and it is only about 500 meter away from the city center. At the bus station you can buy tickets for local bus lines (Split, Solin, Kastela, Marina etc. ), intercity lines (Dubrovnik, Zagreb etc.) or international lines (Austria, Germany etc...). All buses which connect Dalmatia and don't use the highway go through Trogir. Outside of the bus station building there are several ATM machines (prepare some change if you have extra luggage because you will have to pay to the bus driver). There are also many bars and restaurants in the vicinity as well as the city core which is a must see. Below we have listed some of the most popular destinations from Trogir, if you are travelling to destinations further away than Split or Zadar, you have more travel options if you "split the trip in two legs”. Example, if you want to travel from Trogir to Dubrovnik you have more options if you first travel Trogir to Split and then catch another bus from Split to Dubrovnik.